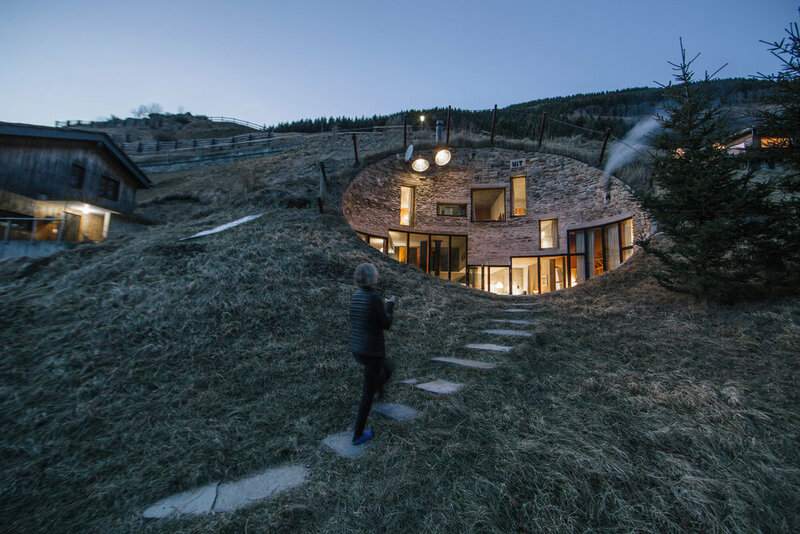 "Villa Vals is designed by Bjarne Mastenbroek and Christian Müller, respectively of the architectural offices SeARCH and CMA. Their design plan was to completely integrate the villa into the landscape to avoid disturbing the unspoiled nature. 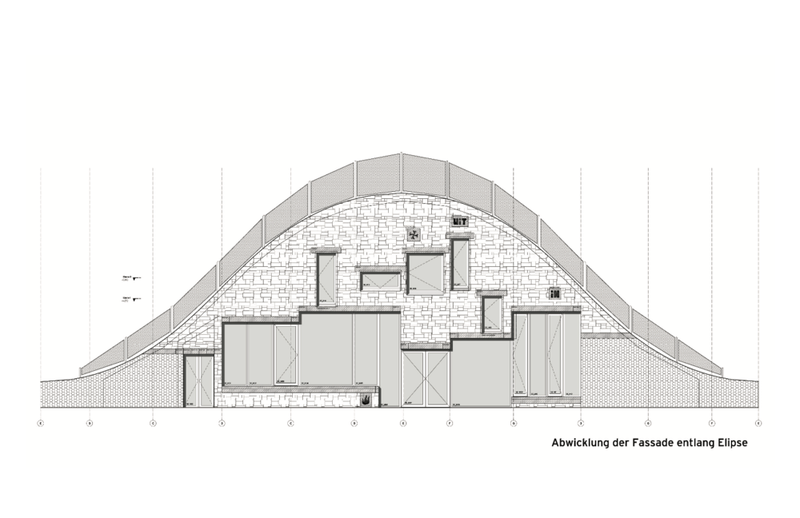 That is why access to the villa is only possible via the nearby wooden Graubünder shed, through an underground tunnel which runs straight through the mountainside. The façade of the house is slightly slanted, adding to the view of the mountain scenery across the valley opposite of the house. We stayed here for one week in December 2016. The entrance. Too amazing for words. Like Alice in Wonderland: Open a traditional wood shed door, go down the stairs, through a glass wall, pass bales of hay lit by chandeliers, step up winding stairs in a concrete tunnel, and finally “pop up” in the brightly lit villa interior. Loved it! The section. Brilliant use of the architectural section. Nearly every room is on a different level. 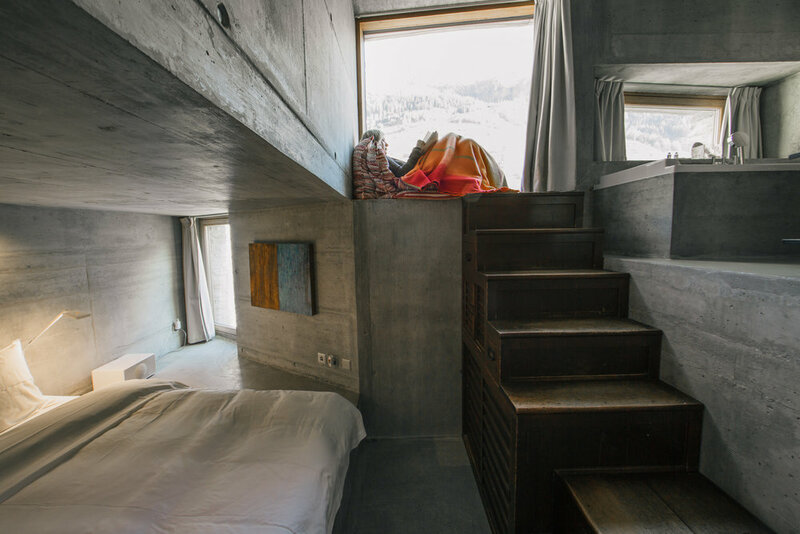 In the bedrooms, integrated steps allow you to access cozy sleeping platforms, quiet reading nooks, and private bathrooms. Ingenious. The multiple levels and concrete and stone steps give the villa a “secret castle” vibe. The quirky design. Very Dutch. Extremely fun and super low key. The location. RIGHT next to Peter Zumthor’s Therme Vals, just walk right over and spend a day at the spa. 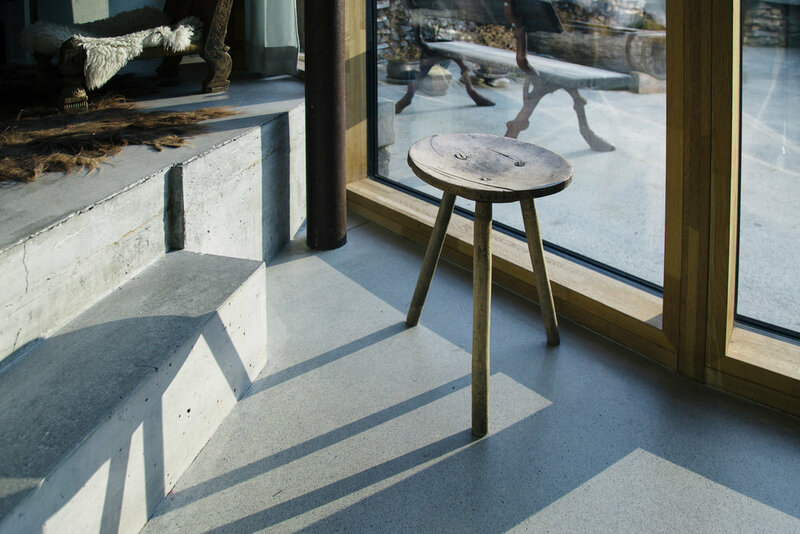 You can also make this a Zumthor pilgrimage because his studio and several examples of his work are short day trips away. Restaurant Ganni. Tucked in the Alps just up the hill. Run by locals with a lot of love and care.